You are buying VetriScience Vetri Repel Spray For Cats Dogs Horses 8oz, model #0900757008. At ADW Diabetes, we offer a wide range of flea and tick products for both cats and dogs. We offer these products in both single and discounted bulk packs with the goal of helping you save even more. Shop with ADW Diabetes for all of your pet flea and tick needs. 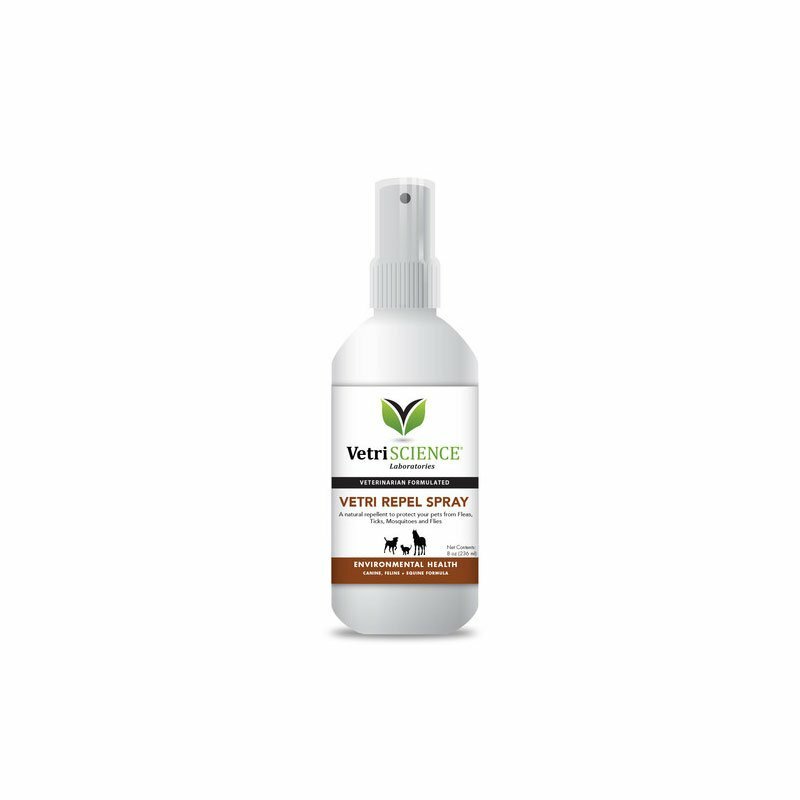 The VetriScience Vetri Repel Spray For Cats, Dogs and Horses 8oz features Brazilian oils derived from certified forests which act as a natural force-field to shield pets from unwanted pests. The oils have been used for centuries by the indigenous people of the Amazon forest to keep pests from detecting a desirable scent on their skin, thus creating avoidance. This product contains no drugs or synthetic chemicals with no known toxic effects from licking the skin. Vetri Repel Spray is safe for use on beddings and could be applied to collars that are ablet to soak up the oils. For use on dogs, cats and Horses only. This spray is a natural flea and tick repellent formulated by nature.